SAFEROOM has been keeping top executives, government officials, homeowners, and their most valuable possessions safe throughout the world since 1981. All SAFEROOM systems are tailored to the specifications of your project and all components are crafted from the highest quality material available. Every piece is thoroughly tested to ensure reliable protection. We invite you to come view the process, and test your custom designs with your own hands, either with tools and weaponry of your own, or provided for you, at our state-of-art firing and proving range – your satisfaction is always guaranteed. Whether you need a secure location for the storage of high-value items or a hidden space for your physical protection, SAFEROOM provides intelligent solutions that protect you, your family, your possessions and your privacy. 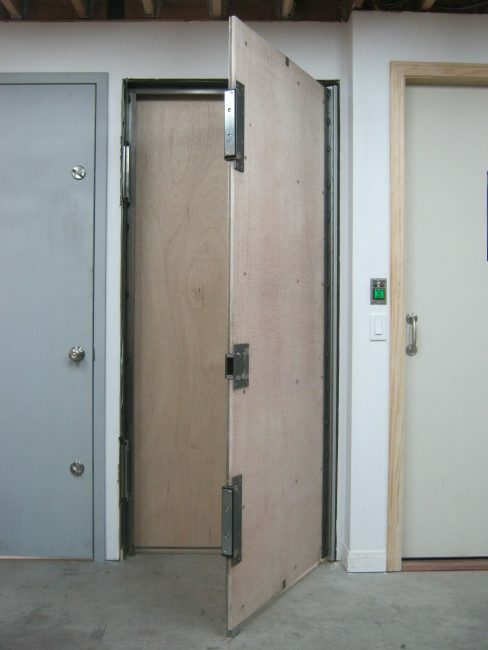 Along with world-renowned security consultant and best-selling author Gavin de Becker, the Saferoom team developed the safe room concept utilized in the 2002 hit motion picture Panic Room, starring Jodie Foster. Our expertise was invaluable to the project and we were honored to have served as consultants.